Suzanne A. Quaderer, age 69, of Lac Courte Oreilles, died Saturday, February 2, 2019 at Sacred Heart Hospital in Eau Claire, WI. Suzanne Agnes DeBrot was born November 11, 1949 in Hayward, WI the daughter of Earl and Phyllis (Bachand) DeBrot. She attended school in New Post and graduated from Hayward High School. She then attended Globe Business College in Minneapolis and worked for the State of Minnesota. After returning to LCO she attended Mt. Seniro College in Ladysmith, graduating with a Bachelor’s Degree in Education. Sue was united in marriage to Keith Quaderer, they were married for 47 years. 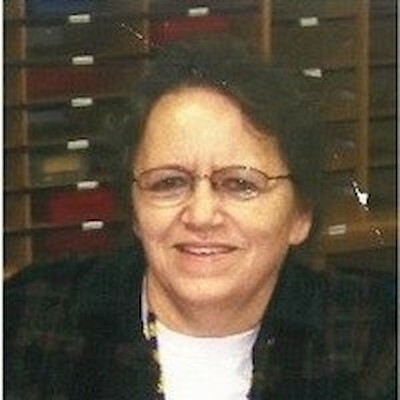 She worked in the Lac Courte Oreilles School System for 43 years and had planned on retiring at the end of the 2019 school year. Sue loved working with children and spending time with her grandchildren and great grandchildren. She will be missed dearly, especially her kind heart and great sense of humor. She is survived by her husband Keith; sons Jamie (Kim) Fleming of Couderay, Kenneth Jay (Edwina) Quaderer of Hayward; daughters Darcie Quaderer and Roxie (Jeff) Quaderer both of Hayward; 13 grandchildren; 4 great grandchildren; brothers Dale DeBrot, Warren DeBrot both of New Post; sisters Deanna Baker of Hayward, Catherine Chambers of Couderay and Elaine DeBrot of New Post; many nephews & nieces. Sue was preceded in death by her parents Earl & Phyllis; son Keith “Sonman” Quaderer; brother Wayne DeBrot; nephews Ronald Quaderer, Marlon Carley & Jonathon Baker. Mass of Christian Burial will be held at 11:00 a.m., Thursday, February 7, 2019 at St. Francis Solanus Indian Mission in Reserve. Father Gregory Hopefl will officiate with music provided by Sister Felissa Zander. Burial will be in St. Francis Cemetery in Reserve. Visitation will begin at 5:00 p.m. Wednesday, February 6th at Pineview Funeral Service. Casket bearers will be Greg Fleming Sr., Greg Fleming Jr., James Fleming Jr., Christopher Grover Jr., Jacob Grover and Dave Thunder.